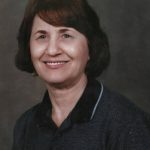 Nancye Jane May of Granbury passed away on Saturday, February 2, 2019 at the age of 83. Nancye, the youngest of nine, was born on January 19, 1936, in Slaton, Texas to Braxton Barto Jones and his wife Nellie Mae. She was a loving mother, grandmother, sister and friend and will be greatly missed. She loved the Lord and was a member of the Way Church. Nancye also loved politics and was an active member of the Republican Party and was never apt to shy away from a political conversation. Prior to retirement, she served in many capacities while at West Texas A&M University and considered it her collegiate alma mater. A Funeral Service will be held on Wednesday, February 6, 2019 at 2:00pm at Wiley Funeral Home Chapel in Granbury. Visitation will be held that morning from 10:00 AM – 12:00 PM at Wiley Funeral Home. So sorry for your loss! I am praying for peace and comfort for your family!